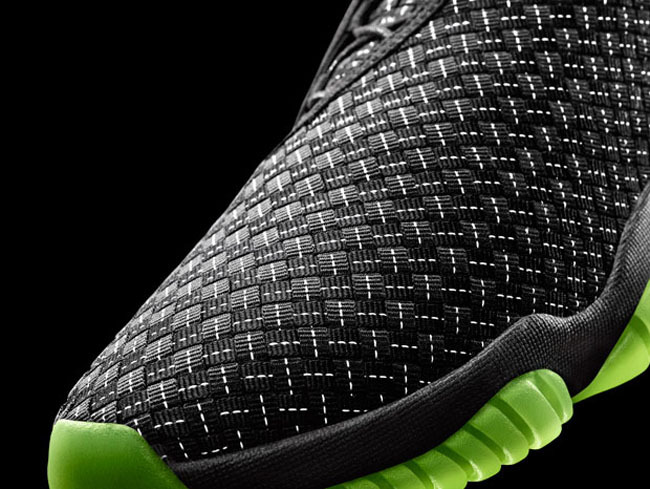 Let’s start with the obvious: The Jordan Future is not an entirely new design. 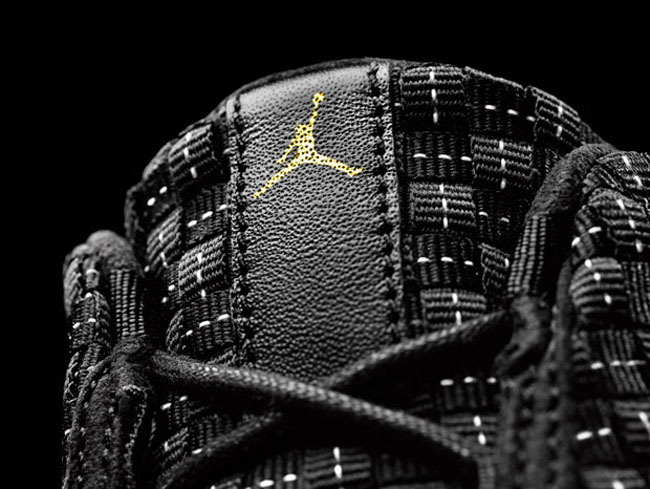 That midsole/outsole combination should be immediately recognizable as the underpinnings of the Air Jordan XI (complete with carbon fiber plate and full-length Air), and the upper, with its woven construction and off-center lacing, has a decided NSW/HTM feel. 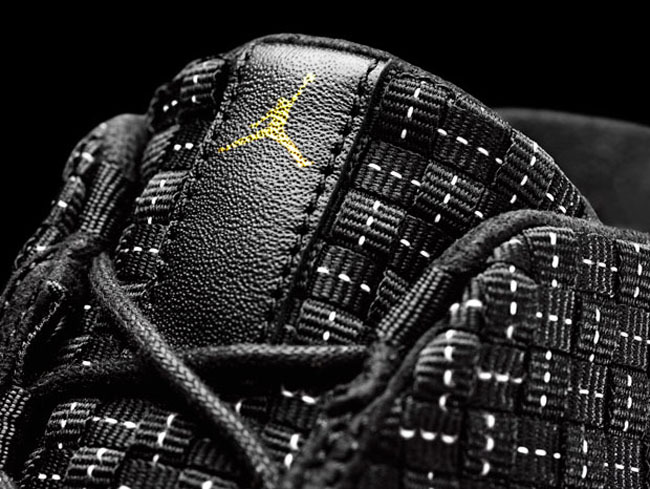 But taken all together, this off-court model does represent something of a new direction for Jordan. 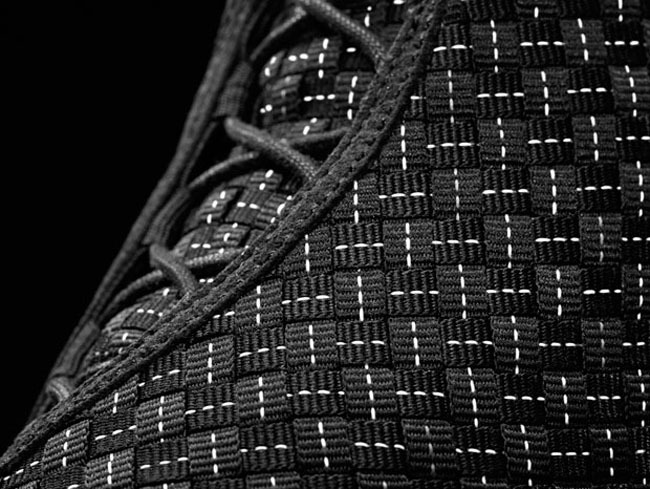 Opinions on this first shoe will be mixed, of course, but that’s the way it’s supposed to work for any new Jordan. “You want an emotion,” says Schecter. 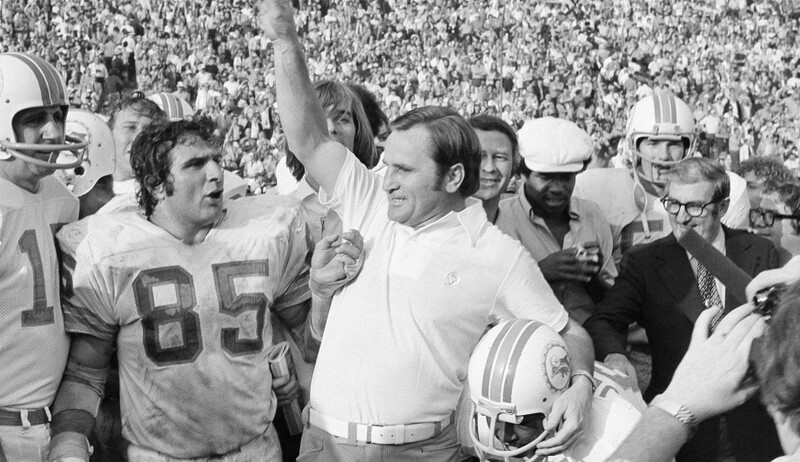 “It’s OK to have something polarizing, but you want something.” They’ll get that. 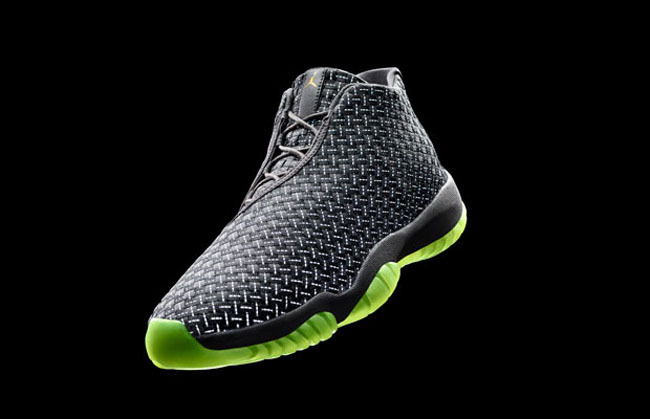 The Jordan Future releases on March 1, and will retail for $185. 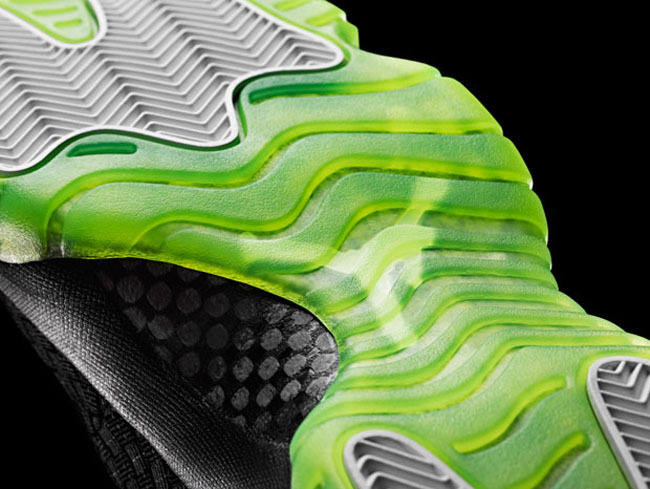 6 Responses to The Jordan Future 11? I must express my affection for your generosity in support of folks that really want guidance on this niche. Your very own dedication to getting the message all over had been astonishingly helpful and have in most cases helped regular people much like me to realize their objectives. Your personal informative tips and hints means a great deal a person like me and a whole lot more to my office colleagues. Warm regards; from all of us. Looks like a very interesting blog carnival. As a baby boomer who is also a member of the Sandwich Generation, I was especially interested to note an article about another boomer also writing about dealing with the issues of caring for the elderly parents and relatives in our families. I’m looking forward to reading that along with the other various articles. Thanks for sharing these resources with us. This infoamrtion is off the hizool!